"Taking a portrait of someone--be it man or woman--starts with a conversation. It is important for me to try and catch the person when they are listening or when they are in a pensive mood or have forgotten my presence. I rarely ask a person to pose for me as I prefer that they reveal themselves as they wish. For me the eyes and the hands are most important and when possible I like to use natural light. 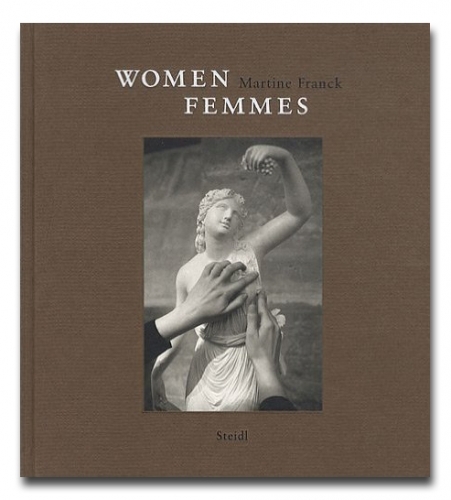 All through my life as a photographer I have made a point of photographing women whom I admire, who have done something special with their lives, who have protested against their fate, also those close to me like my daughter and grand daughter and intimate friends all of whom appear in this collection." --Martine Franck. Martine Franck has travelled the globe photographing the social landscape. This book brings together a selection of her photographs of women, from factory workers in Bucharest to geishas in Kyoto and encompassing the film stars, artists, writers and performers she has photographed since the 1960s. It is both a celebration of women and a testimony to the unique vision and empathy of a great photographer.